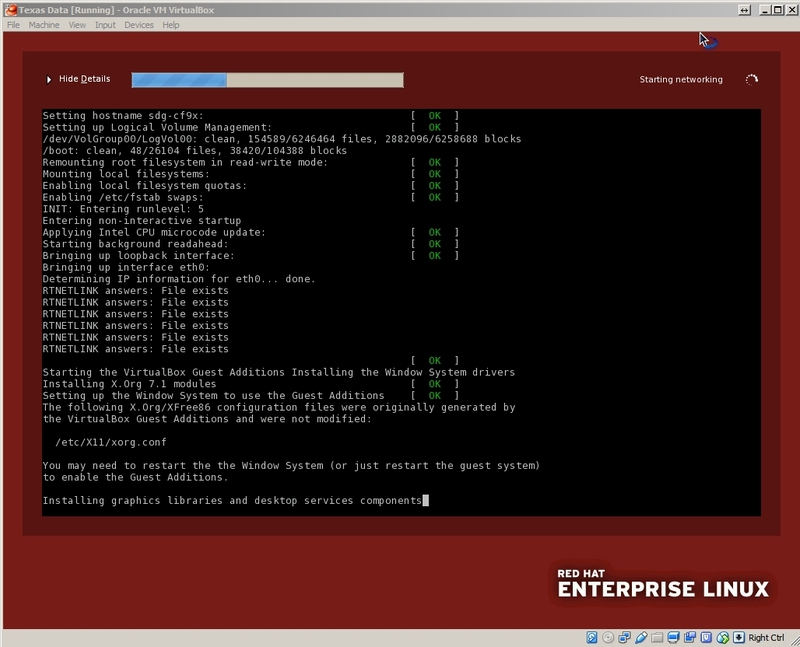 The rhgb - (red hat graphical boot launcher) is an old method for displaying or hiding details about run control scripts during start up for the Red Hat Linux operating system. There isn't a lot of clear documentation about it. This is how to adjust its resolution if it looks odd at boot time. If it finds xorg.conf then it uses that information to start an Xwindows terminal and displays a set of default graphics including a progress bar, logos and a Gnome VTE - (virtual terminal emulator) widget with details and progress information. Normally the /etc/rhgb working path does not contain an xorg.conf file and the rhgb agent does the best it can to discover and create a working configuration in memory. Sometimes this works, sometimes it fails. 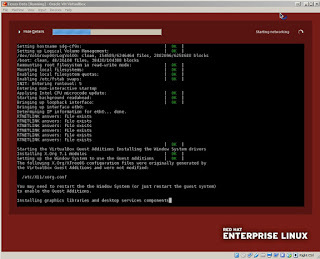 Under virtualbox vm emulation for example the rhgb autoconfiguration gets it mostly right, but the vte widget is displayed off center and bleeds off the display to the right. By copying the /etc/X11/xorg.conf.virtualbox configuration to the /etc/rghb/xorg.conf file and "tweaking" it this problem can be completely eliminated. Mostly the key was the selection of the default "driver" used by the xerver (it has to be "vesa") and setting up Inputs to represent the mouse. But an Input device is really only needed if you intend to toggle the Show Details or Hide Details arrow next to the progress bar. If you want to "permenantly" [Show Details] without having to toggle the arrow. This simply sends a command to the rhgb agent to always display details and is equivalent to toggling the on screen arrow during boot. Option "Name" "VirtualBox Mouse Buttons"